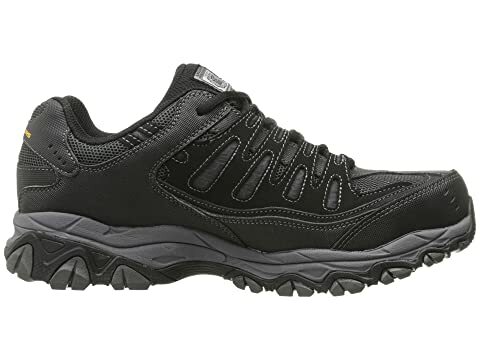 The Skechers® Work Cankton shoe lets you tough it out in total protective comfort with its roomier fit, supportive cushioning, and superior grippy outsole giving you confidence to get through the work day. 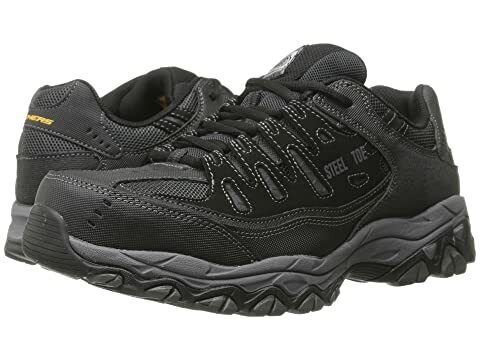 Sporty lace-up work shoe features a protective steel toe, a Relaxed Fit design for a roomier, more comfortable fit, and Memory Foam cushioning for better support and comfort. 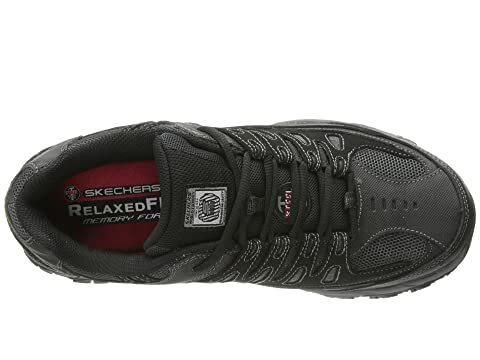 Smooth action leather upper with durable synthetic overlays. 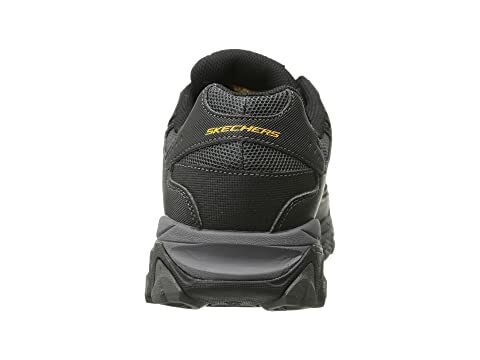 Protective synthetic toe and heel bumpers. 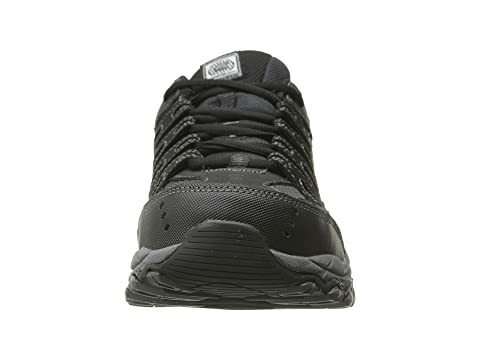 Traditional lacing for a secure fit. 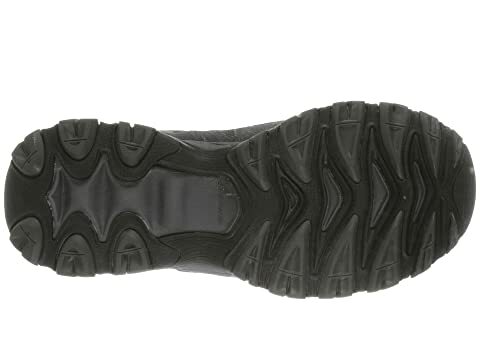 Durable rubber outsole with lug traction for excellent grip. 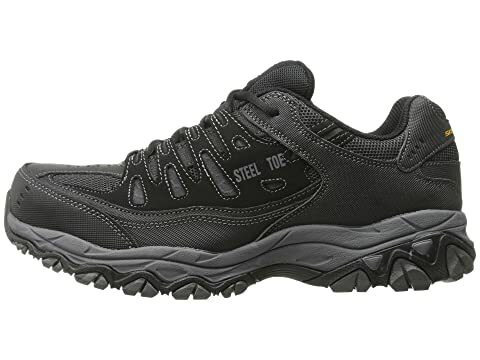 Steel toe rated for ASTM F2412-2011 I/75 C/75, EH rated.